Home » wearing » Should Gloves Be Worn When Giving Allergy Shots? Should Gloves Be Worn When Giving Allergy Shots? A common question patients ask is whether nurses and or other medical staff be wearing gloves when giving allergy shots (or other forms of immunization). As such, the practice of wearing gloves is left up to the discretion of the person administering the shot. Some offices/hospitals may have a policy in place that makes it mandatory, but technically it is not required. Of course, many individuals will point out a conflicting policy based on "Universal Precautions" which can potentially be interpreted as mandatory use of barrier protection (like gloves) whenever there is the possibility of bloodborne pathogen transference (which some may interpret as risk is always present). 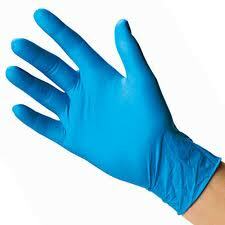 Not quite the "mandatory" use of gloves some people stipulate when quoting Universal Precautions policy.